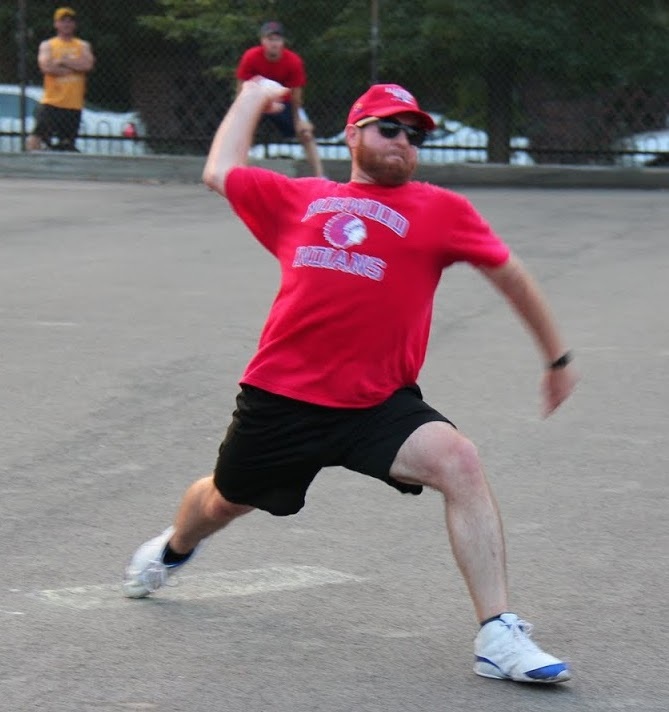 Questionable Outfit pulled ahead 2-0 in their best-of-five series with the Ham Slams, escaping with a win in a game they likely should have lost, as Reilly pitched effectively and crushed three homers to carry his squad. The Ham Slams made costly base running errors in the fifth and sixth innings which proved to be critical in a close game that they narrowly lost. 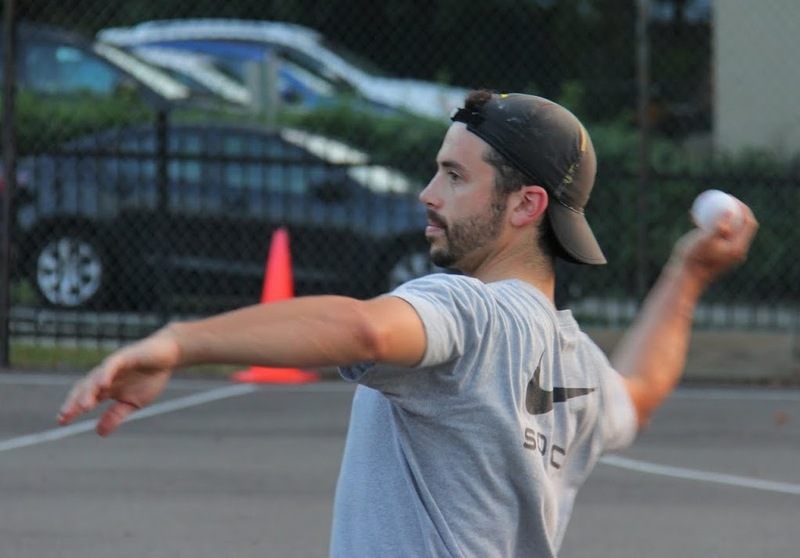 The loss put the Ham Slams against the wall, as they now must win games 3, 4, and 5 to advance beyond the first round for the first time in franchise history, and Questionable Outfit are a win away from clinching a third consecutive Wiffle Series appearance. After a surprising decision not to start Reilly in game 1 of the series, Questionable Outfit returned to their ace in game 2. He gave up a one-out double to Dan in the top of the first, but stranded the runner for a scoreless inning. The Ham Slams turned to Tim, their #2 starter, to take the mound for game 2. Questionable hit him early and took a quick lead in the bottom of the first. Bob led off the inning with a single, and two batters later, Reilly provided his own run support with a two-run blast to make the score 2-0. Mike followed with a single, but he was caught out trying to extend the hit into a double, ending the inning. The Ham Slams bounced right back in the top of the second, tying the game. With one out, Steve hit a solo homer to right, cutting the score to 2-1. Tim followed with a solo shot, and the back-to-back homers tied the game at 2-2. Dan then singled, but Reilly retired Alan to strand the runner and end the inning. Questionable made up for the two runs in the bottom of the second. Bob doubled to lead off, and he scored from second when Tom grounded out to deep right, making the score 3-2. Reilly then followed with his second homer in as many at-bats, putting Questionable ahead 4-2. Tim then retired Mike to end the inning. Reilly cruised through the top of the third, retiring the side in order. Tim matched him in the bottom half of the inning, retiring Bob and Tom consecutively. The Slams pulled closer in the top of the fourth when Tim led off the inning with his second homer of the game, cutting the deficit to 4-3. Dan followed with a double, but the Slams couldn’t drive in the tying run, as Reilly retired the next two batters to end the inning. Reilly got the run back immediately in the bottom of the fourth, leading off the inning with his third homer of the game. Tim retired the next two batters, and Questionable led 5-3 through four innings. The Ham Slams continued to fight back in the top of the fifth. Steve led off the inning with his second homer of the game, and the score was 5-4. Tim followed with a double, and the tying run was on second base. Reilly got the next batter, Dan, to ground out to left for the first out of the inning. Tim, thinking it was the second out of the inning, wandered off of third base and was caught out for what was actually the second out of the inning. The Slams would have had the tying runner on third, but the base running error ending the inning. Tim made up for the gaffe by retiring the Questionable side in order in the top of the sixth. The Ham Slams would enter the bottom of the sixth down a single run. Alan led off the inning with a double, putting the tying runner in scoring position. Adam came to the plate and hit a single, moving Alan to third. The Ham Slams had runners at the corners with the tying run 13 steps away from home and the winning run on first. Steve then hit a towering fly ball to right field. Questionable Outfit fielders scrambled to get under the ball, and at the last second Mike called for it and made the catch. Adam had wandered off of first base, and Mike got the ball to the mound before Adam made it back to the base, doubling him up to end the inning and the game. 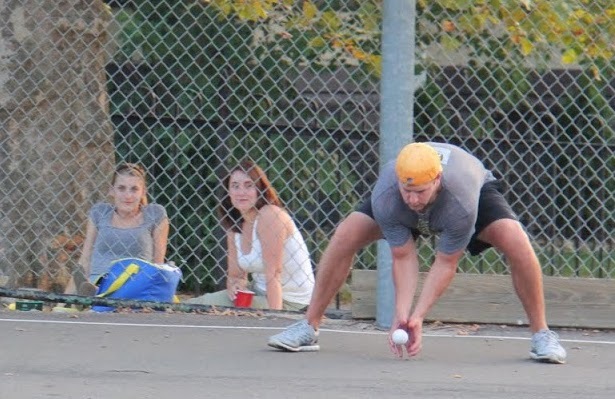 The Ham Slams had committed another base running error, this one fatal, as Questionable Outfit held on to win the game 5-4 and take a commanding 2-0 lead in the best-of-five first round series. 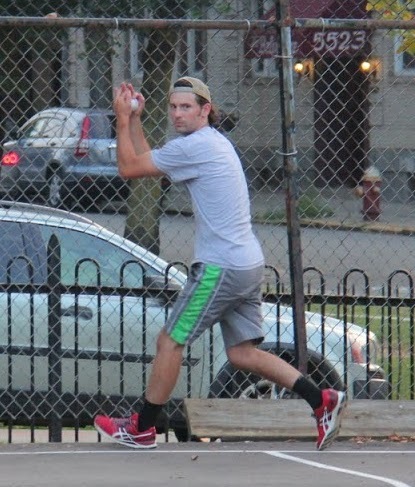 – Reilly pitched the complete game win for Questionable Outfit, allowing 4 runs on 10 hits in 6 innings. – Tim took the loss for the Ham Slams, giving up 5 runs on 6 hits in 5 innings. – Reilly led Questionable Outfit at the plate, going 3-for-4 with 3 home runs, 3 runs scored, and 4 RBI. – Tim led the Ham Slams on offense, going 3-for-4 with a double, 2 home runs, 2 runs scored, and 2 RBI.